please call 844-725-1615 for policy questions. Don't have time to complete a quote online? Complete the form and we'll call you back during our normal business hours. This is me at 10. You have one of two options. You can either take their words to heart and give up, or use them to keep you pushing on. Maybe being told you can’t do something is that extra driving force that helps lead people to success. It is for many champions, and I know it was for me. When somebody tells me I can’t do something, it instantly makes me want to prove them wrong. 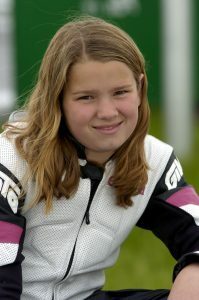 As a young girl racing motorcycles, mostly against boys, I suppose it was inevitable that someone would take it upon themselves to inform me that I couldn’t do what I was doing and that I’d never succeed. But it was still a shock the first time it happened, and it hurt for a long time, until I finally learned how not to internalize it. Looking back, it’s surprising to me that it happened at such a young age, and came from such a surprising source. As a 10-year-old racing mini bikes, riding for me was just about having fun. I knew this was something I loved doing and I was winning races, so I knew I did it well. I didn’t think much about becoming a professional racer. One day I was out practicing at the track I grew up riding at in Stockton, California. I was talking to this lady who was running a mini bike race team with four or five men and women on it. For those of you who don’t know, mini bike racing is basically inexpensive adult recreational racing. It wasn’t directed specifically at me, but it went to my heart like a knife. I was dumbfounded. Why would this lady say something like that? How did she know? Who was she to talk? I was raised to be respectful to adults so I laughed it off, but I quickly ran back to my dad, who was running the practice days at the time, and told him what had just transpired. The distraught look on my face and the crack in my voice told him how upset I was. My dad is the kind of guy who’s laid-back and even keeled, but I saw a look I rarely saw cross his face and I could tell he was not happy about it. We talked for a while about how people in this world are going to try to put you down, and even smash your hopes and dreams, but that you must put their words aside and not let them get to you. He told me that this sport was going to be hard for me, and there were going to be more people in the future who would probably say things far worse, but to never let their words get stuck in my head or my heart, or make me question myself. Although I was completely blindsided by her remarks, I’m sure my dad knew this was coming. I was still young, no one knew what I was going to do in the sport, or whether I was even going to continue. But I’m sure he had already been getting a lot of flak for letting his daughter ride motorcycles. This was a valuable lesson for me at such a young age. My dad was right, because there have been countless times throughout my career where naysayers have said negative and nasty things about me. Being the shy, sensitive girl that I am, I was never one for conflict, so I never fought back. At times, hearing these cutting words hurt more than I’d care to admit. I’m just glad that social media wasn’t the force that it is now when I was coming up. When I would hear these things, I would always reflect back on the conversation I had with my father and work through it. And I would just keep on going. Training. Racing. Winning. Proving people wrong. Eventually there was such a difference between what some people were saying about me and what I was actually doing on the race course that it became easier and easier to ignore them, and not internalize it at all. Once I got to that point, I became invincible. 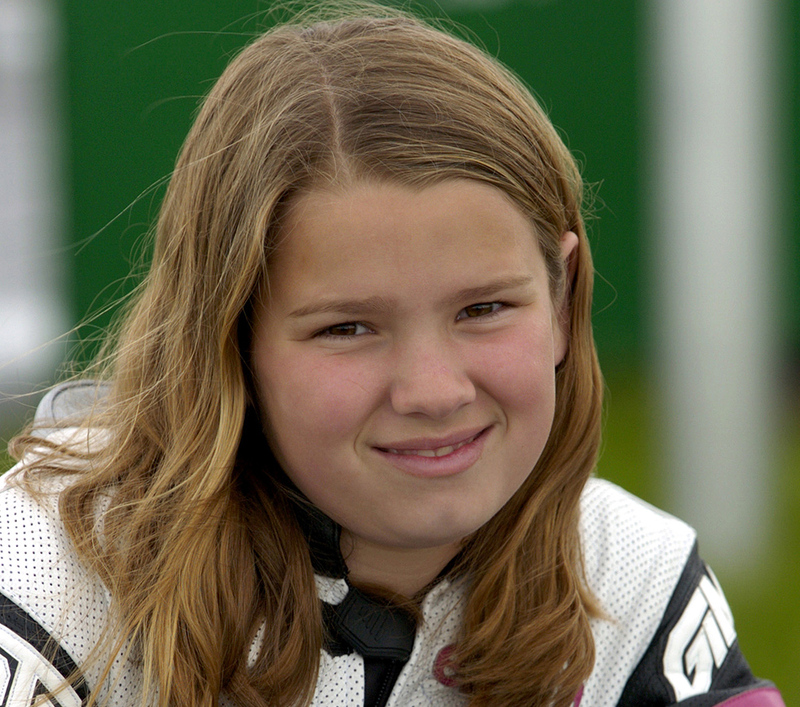 I went on to become the first and only woman to ever win an AMA Professional Road Race, the only woman to ever win a professional motorsports event at Daytona International Speedway, and the only woman to finish in the top five in the US Superbike Championship. None of this would’ve been possible if I had listened to the doubters and haters. No matter what life has thrown at me, somehow, I’ve always come back to that moment as a 10-year-old little girl who was told she couldn’t do something, and her daddy told her to just focus on her goals and let those words fuel her fire. It’s brought me to where I am now and I thank that lady for giving me an incredibly valuable lesson. I now believe I can do anything I set my mind to, despite what anyone else has to say about it.